Type English in the box given below. As soon as you'll press SPACE, the word will convert in Tamil. For example, to write "தமிழ்" you should type "tamil" and then press SPACE key. If you want to type something in English in the middle of Tamil text, press Ctrl+g to toggle between English and Tamil. 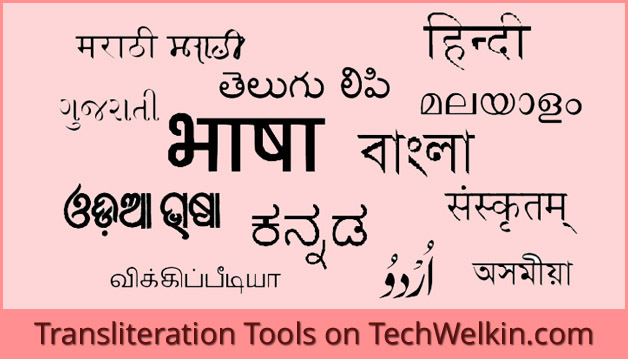 TechWelkin English to Tamil Conversion Tool allows you to online type Tamil text without learning professional Tamil typing. Here you type in English letters and the text automatically converts into Tamil script. This tool works on phonetic scheme; which means you type the way you speak. So, even if you just know how something is pronounced in Tamil; you can write that text in proper Tamil script. The tool produces Unicode text which makes it very easy to post on blogs or websites. This tool can help in growing your website’s Tamil content and you can quickly type Tamil on your computer screen. You will no longer need to depend only on English content. Now you can very well have your website in your mother tongue. This English to Tamil translation tool also provides facility to save the typed content. You’ll be able to save the text in your local computer in Microsoft Word document. Downloading Tamil content is recommended as it will keep your typing effort safe for later use as well. If you’re a social media person and want to post WhatsApp messages, Facebook posts, Tweets and blog posts in Tamil language; this tool will be of great help. You can online type in Tamil on-the-fly and copy paste the text wherever you want. We always encourage our users to type in Indian languages and post good content online in order to increase Indian language content on Internet. At present, there is quite a bit of online content in Hindi, Gujarati, Marathi, Bengali, Telugu, Kannada etc. —but it is not enough. In comparison with English our content is almost negligible. Therefore, go ahead and use this tool to write in Tamil. Use your own language! We hope you’ll find this tool useful. Please let us know your valuable feedback.